Is it broken? I'm running Windows 7. 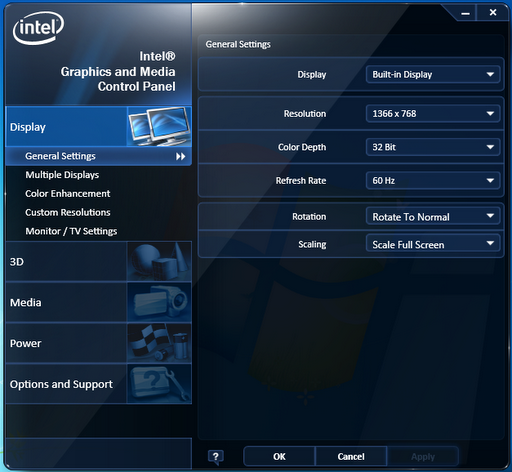 If you have an Intel video card (most likely with new Intel processors), hitting Ctrl + Alt + an arrow key triggered the screen rotation. Try hitting Ctrl + Alt + down arrow to restore the default. 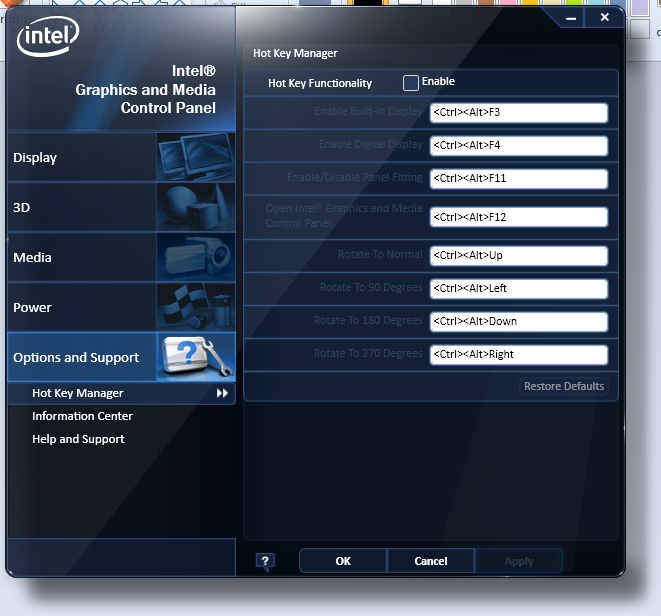 In Intel video settings you can change the shortcut or disable altogether, as shown on my screenshot. I opened this media control panel by double clicking on the system tray icon. Usually the Ctrl+Alt+↑ is used to default orientation. Its a minor desktop rotation issue. 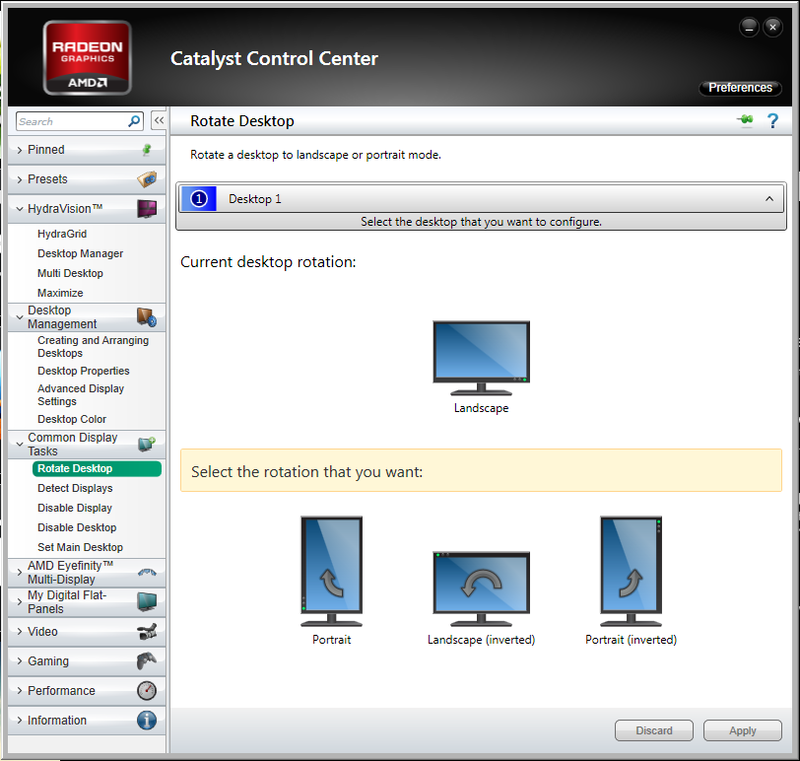 Look into your display driver settings (ATI Catalyst Control Center, Intel Display Settings, nVidia Forceware etc), there has to be an option to change the display rotation. It'd be something like the following images. This is probably triggered by an accelerometer in your laptop. 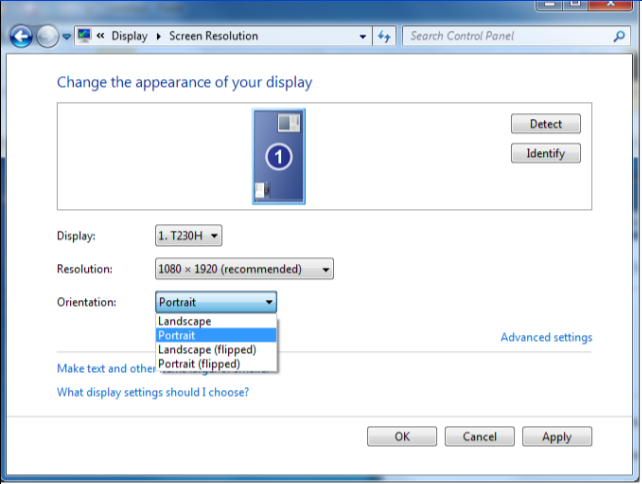 To disable hot keys, just right-click on the desktop, then choose Graphics>Hot Keys>Disable. Not the answer you're looking for? Browse other questions tagged windows-7 windows laptop display display-rotation or ask your own question.